Janice Garrett is an artist in Kalamazoo, MI. 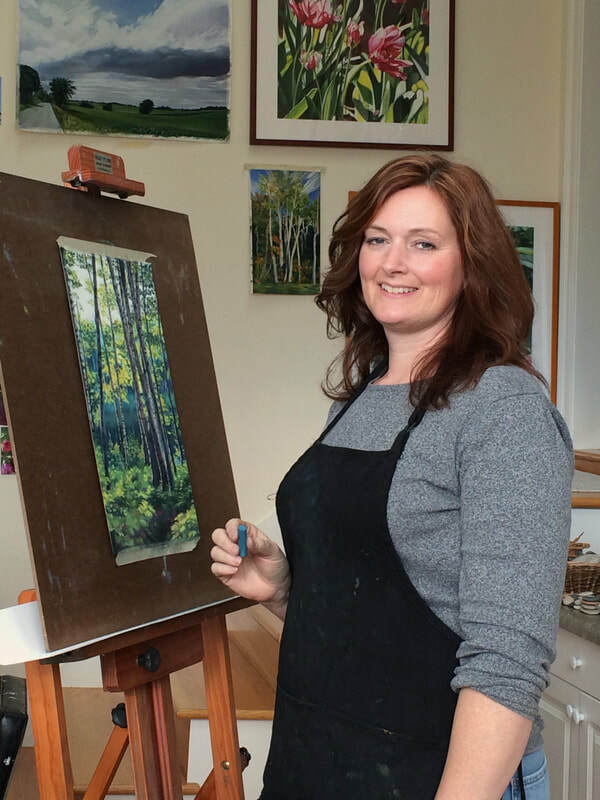 With a degree in art education from WMU, she taught elementary art in Kalamazoo Public Schools for 19 years and earned a Masters in Studio Art at EMU. She is a member of the Michigan Watercolor Society, SWMWCS, and an associate member of NWS and AWS. In my work I am drawn to exciting colors, reflections, and patterns. I arrange a still life and photograph it in sunlight to create my reference material for painting. I like to look for beauty in the little things; the way sunlight can make flower petals look like stained glass, or seeing unexpected colors that are hiding in a landscape.